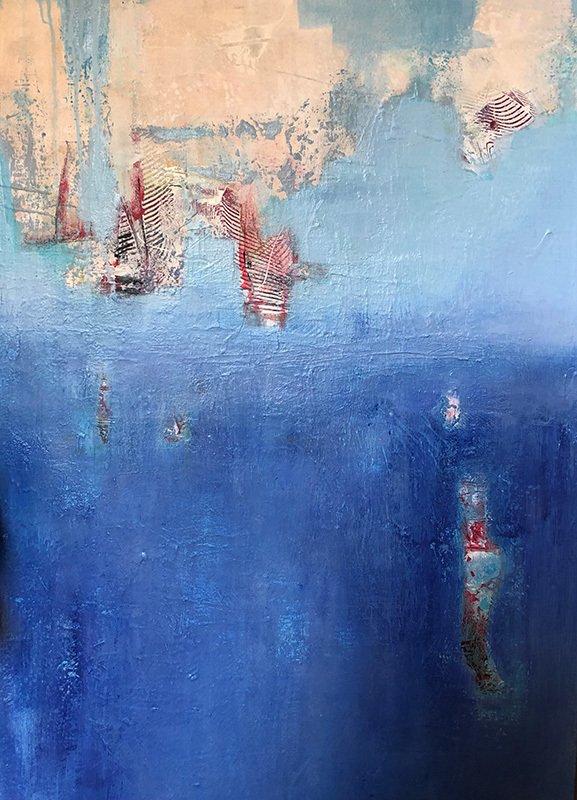 The Louisa Gould Gallery on Main Street in Vineyard Haven presents the 11th annual group abstract show “Vignettes,” opening on August 30 and continuing until Sept. 12. The artists’ reception will be on Sept. 1 from 5 to 7 pm. 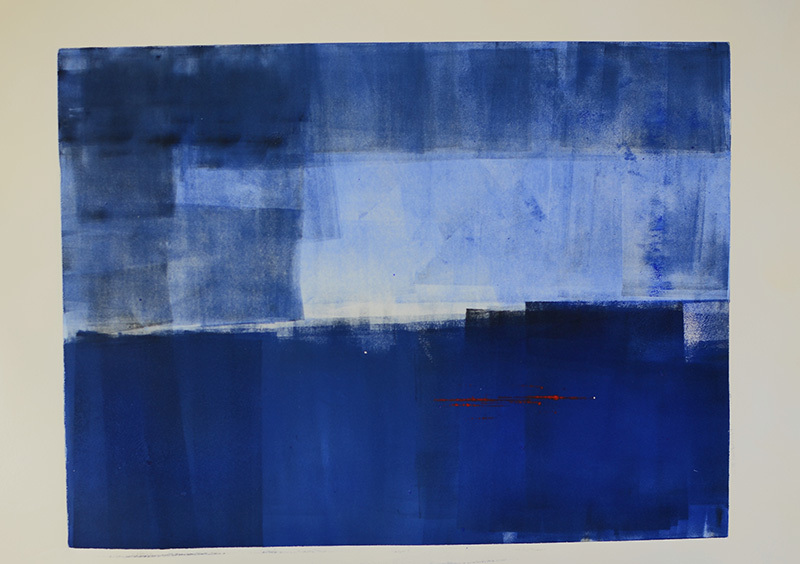 The exhibit showcases the work of six artists, all with longtime connections to Martha’s Vineyard: Jo-Anne Bates, Michaele Christian, Roberta Gross, Martha Mae Jones, Chetta Kelley, and Laura Roosevelt. 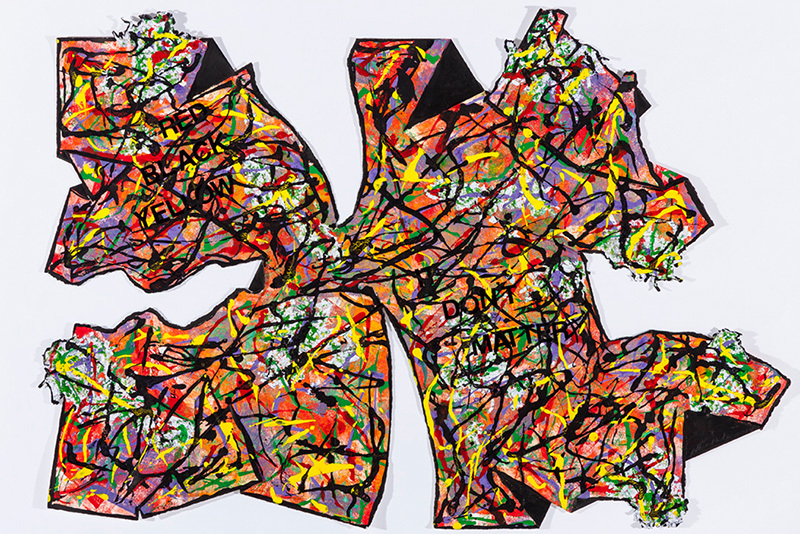 The artists create unique works by utilizing a broad spectrum of colors and visual media including acrylics, fabrics, digital photography, oil- and water-based monotypes, and mixed media. Each artist takes a personal and distinctive approach to his or her visual media, making each work an embodiment of individual style. 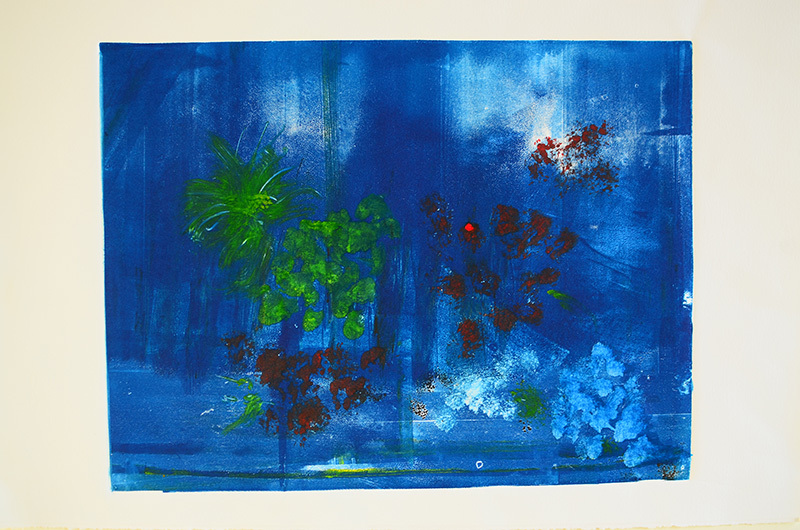 Jo-Anne Bates’ mixed-media monotype prints are inspired by her trip to South Africa (often referred to as “rainbow country”). 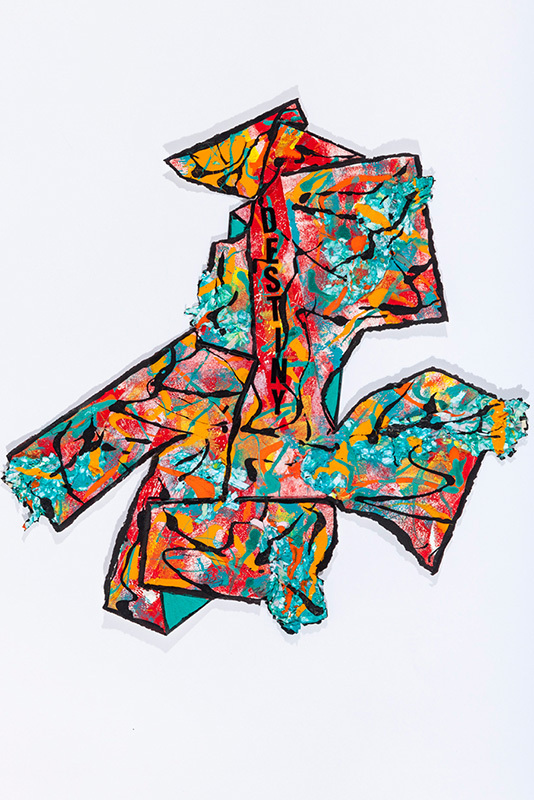 There she saw vibrant colors and intriguing combinations of colors and textures that ultimately became her muse to create a series of prints using bold, new color combinations. She even went so far as to fold and tear her work, as well as creating texture by adhering old shredded junk mail to their surfaces. Finally, she added text on race, women, and conversations about the human condition. 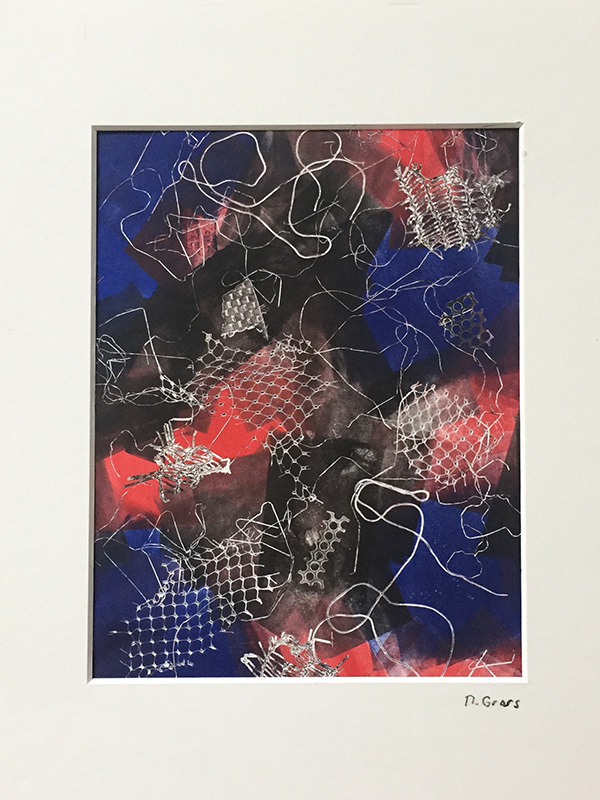 Michaele Christian has again explored the powerful potential of monoprints to reflect abstract imagery as well as her political views. Roberta Gross’s oil-based monoprints are abstract compositions, created with no intention to be representative of the outside world. She utilizes common household objects, including Christmas tinsel, onion bags, rug runners, and solvent. 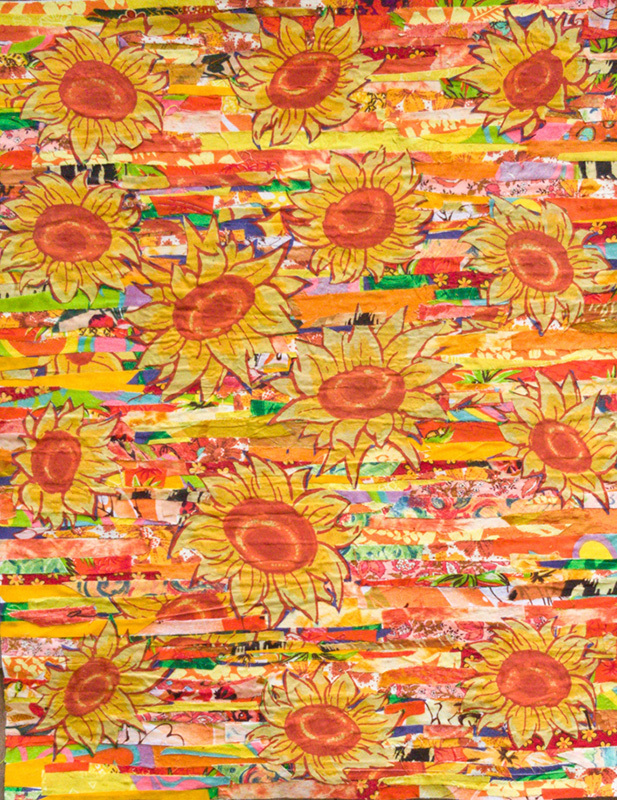 Martha Mae Jones is a fabric artist who uses remnants of silk, cotton, rayon, bamboo, hemp, and other fibers to make art that can define or embellish a space. 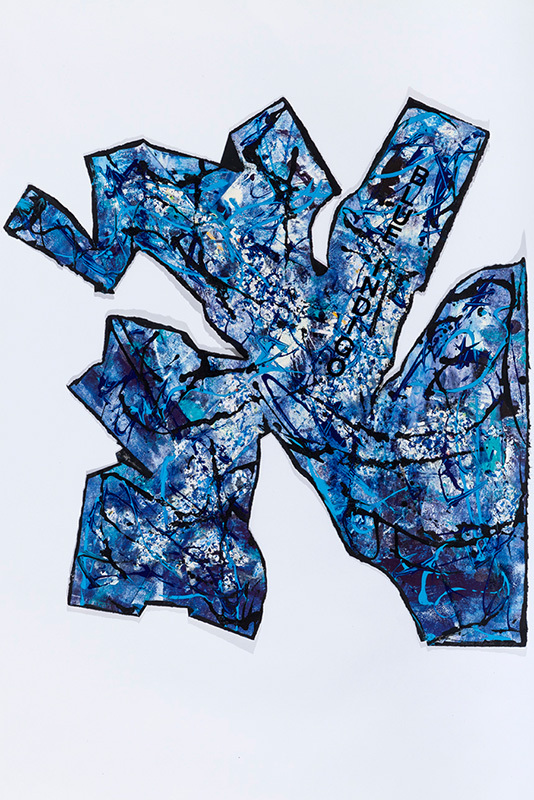 For her, it is a challenge to integrate these seemingly disparate fragments of fabric. Chetta Kelley creates abstract narrative paintings, working in an intuitive manner. 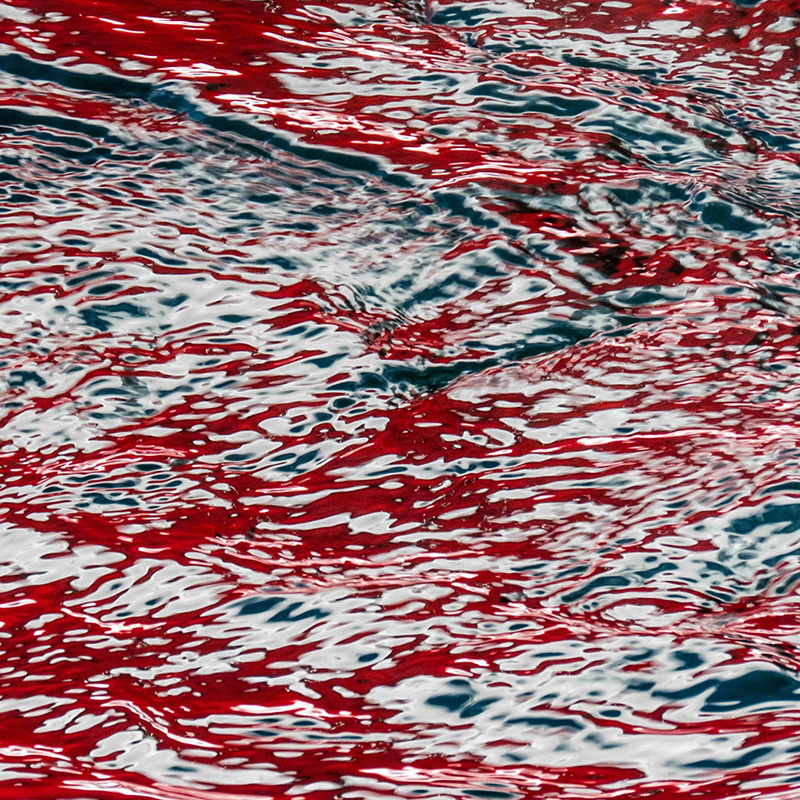 Laura Roosevelt, a longtime resident of Martha’s Vineyard, has been photographing reflections on water since 2010. She began this exploration after she noticed that objects reflected in bodies of water were interestingly changed — stretched, fractured, and repeated — by motion on the water’s surface. For more information, call the Louisa Gould Gallery at 508-693-7373 or visit louisagould.com.